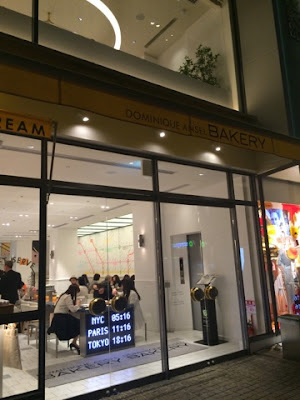 Hawaii Mom Blog: Visit Japan: My First Cronut!!! 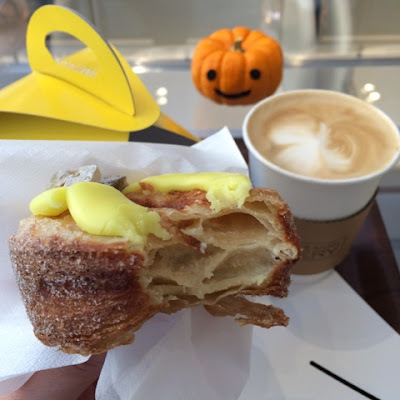 Visit Japan: My First Cronut!!! 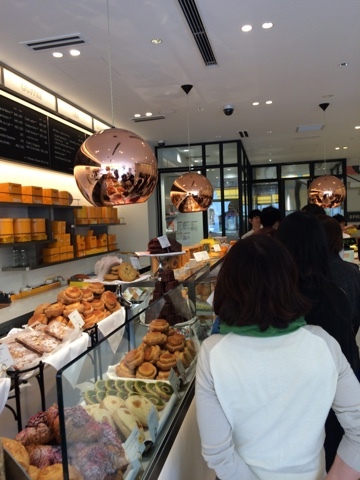 When I visited the Dominique Ansel Bakery NYC location last year, I couldn't get my hands on a cronut. Instead I was appeased with a cookie shot. 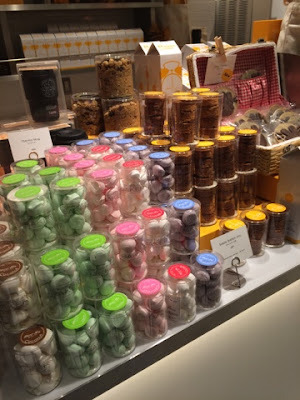 When I found out I would be spending a night in Japan, I made sure to stay near Shibuya so I could get my hands on one of those croissant/donut hybrids. After I checked into my hotel, I put on my running shoes and headed to the train station. I arrived at the bakery about an hour before closing and of course the cronuts were sold out. 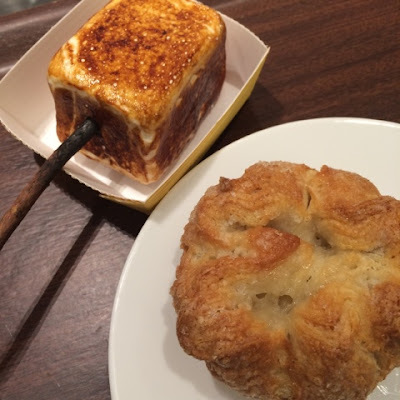 So I opted for things I hadn't tried - the DKA (Ansel's version of the kouign amann) and the frozen s'more. 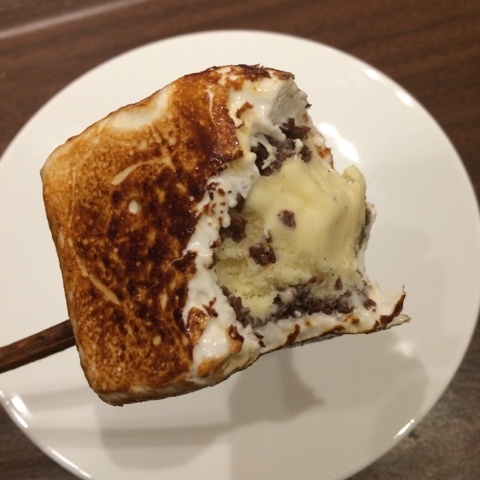 The frozen s'more was really cool as they torch the marshamallow right in front of you. I liked the marshmallow more than I expected and once I got to the frozen vanilla custard ice cream coated with chocolate wafer in its center, I was in love. Beware, It is very sweet. There it is! 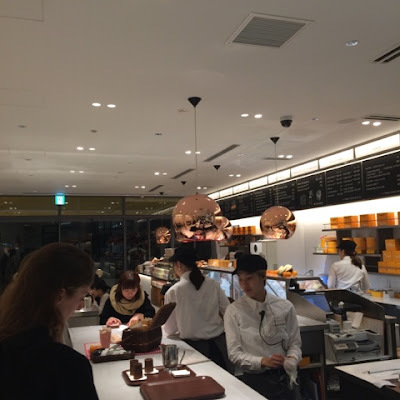 Located across from Omotesando Hills. Frozen s'more and DKA looking pretty. In the center of the frozen s'more. So delicious! The next morning I had the DKA for breakfast and it was delicious! Tender and flakey with a carmelized crunch, it's so yummy. 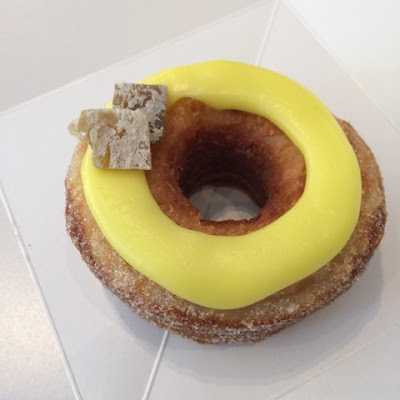 But of course, the star of the show is the cronut so I decided to head back to the bakery. Third time must be the charm because I got one! I could hardly contain my excitement as I painfully waited behind 9 Japanese customers that seemed to have all the time in the world and ordered like it. Maybe that was my tastebuds talking. After a mini photo shoot, I was ready to take a bite of October's cronut flavor, annouimo, a sweet potato with cream fresh ganace and maple sugar. It wasn't light like I expected. The layers were deliciously dense with cream spilling out after the second bite. It was amazing and totally worth all the effort. They have a two limit cronut policy and they have the cutest packaging for the little guys. My first bites! YUM YUM YUM! 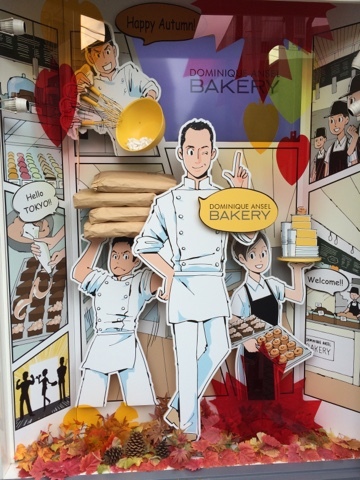 The Japan bakery is bright and cheery and the employees, while a bit slow make up for it in service. I felt welcomed here and loved everything about my visits. Items for purchase to take home. 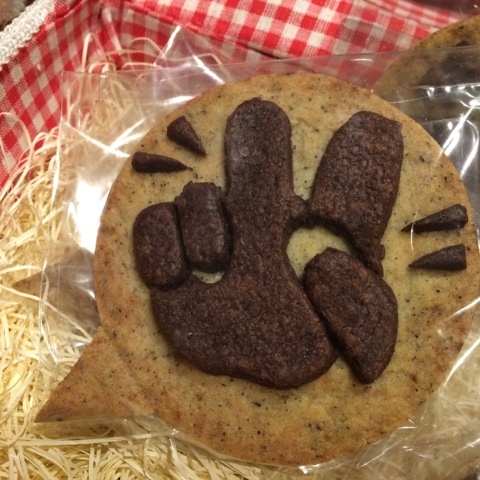 Loved this cute selfie cookie.